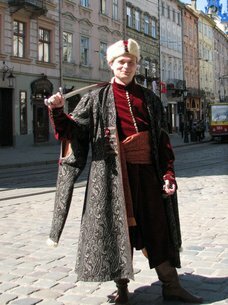 I propose you to visit the ancient city of Lviv with its magnificent architecture, mysterious stories and legends. - a scientific and cultural center, where many outstanding scientists, philosophers, poets, travelers and others originated from. Today Lviv is one of the most beautiful cities of Europe. In 1998 Lviv historic centre has got UNESCO WORLD HERITAGE designation. While walking on medieval streets of that nice city, you can see its beautiful houses, churches and museums, try tasty Lviv coffee, drink good Lviv beer, and listen to many interesting stories and legends. Welcome to the royal city of Lviv!